everyone has heard about pH at some point in their lives even if it was in high school chemistry, and while you may have been thinking to yourself back then that you would never, ever need to know or care about pH here you are! 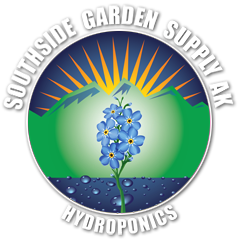 Knowing and maintaining the pH of soil garden is just as important as in hydroponic gardens. So first let’s go over what pH is and how the scale works. The pH scale ranges from 1-14 with 7 being neutral, anything lower than 7 is considered to be acidic and or sour, anything above 7 is basic (or alkaline) and more sweet. The Scale is a base 10 logarithmic scale, meaning a pH of 6.5 is 10 times more alkaline than a pH of 5.5 and 100 times more than 4.5. 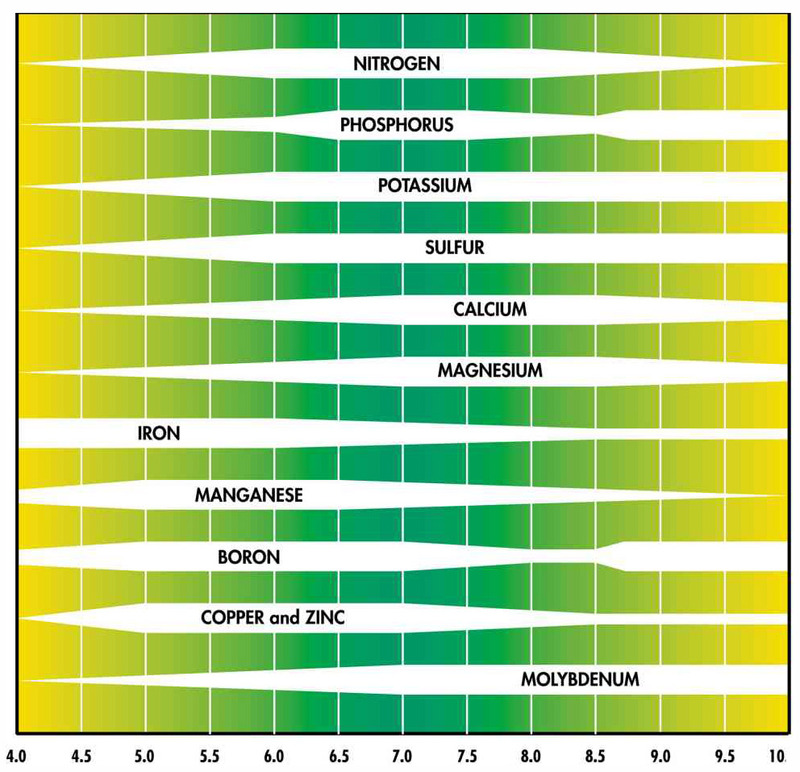 For soil gardening a pH between 6 and 7 is best. 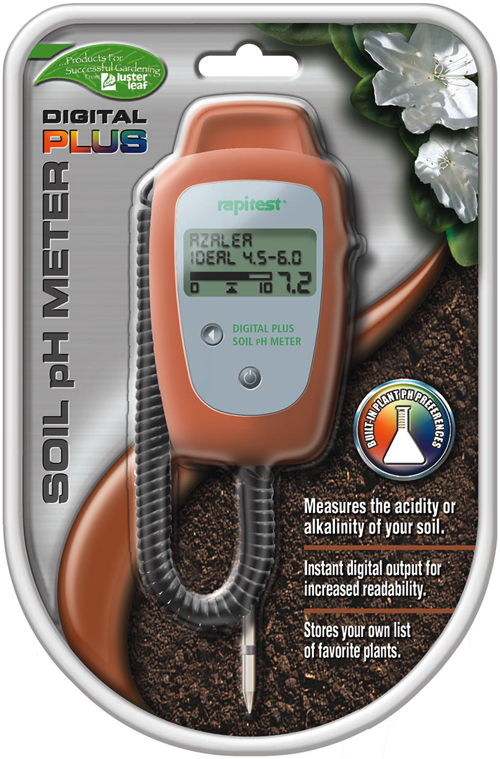 The easiest way to test the pH of soil is to use a soil pH meter, and as an added bonus these meters are often a combo meter, so it can also tell you things like moisture levels and light depth. Some of you might not have thought to test the pH of the soil because you’re assuming it will reflect that of the pH of the nutrient solution you are pouring in, and in fact this is usually not the case. 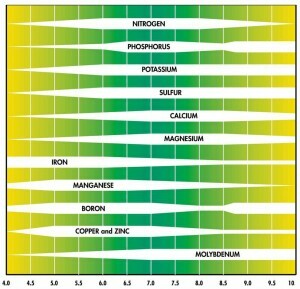 Soil pH is going to be between 6.5 and 7 in healthy gardens even though you are watering with a 5.7-6.2 nutrient solution. The pH of your soil is going to be higher than the nutrient solution because actively growing plants absorb hydrogen molecules which with cause the pH in the root zone to naturally rise. When the pH of your soil strays from the norm different crucial elements start to become unavailable to the plant and deficiencies start to show, much like in hydroponics. If pH suddenly starts to become erratic in your soil there could be something going on with your plant such as root rot or other bacterial problems. So…. What do you do if your soil pH is higher or lower than it should be? If your plants are not showing any sign of distress or damage and the pH is a little high ( or low) try mixing your solution a little lower ( or higher) than usual but be sure to stay in the safe range. If your plant appears to be deficient and the pH is off give the plant a thorough flushing with pH balanced water( running 3 times the amount of water through the container size I.E if you have a 3 gallon bucket run 9 gallons through it) and start feeding again as usual. Posted in Indoor Gardening Help.